“Goshogawara Tachineputa Festival” is one of Aomori’s three major Nebuta Festivals, along with the “Aomori Nebuta Festival” and the “Hirosaki Neputa Festival”. 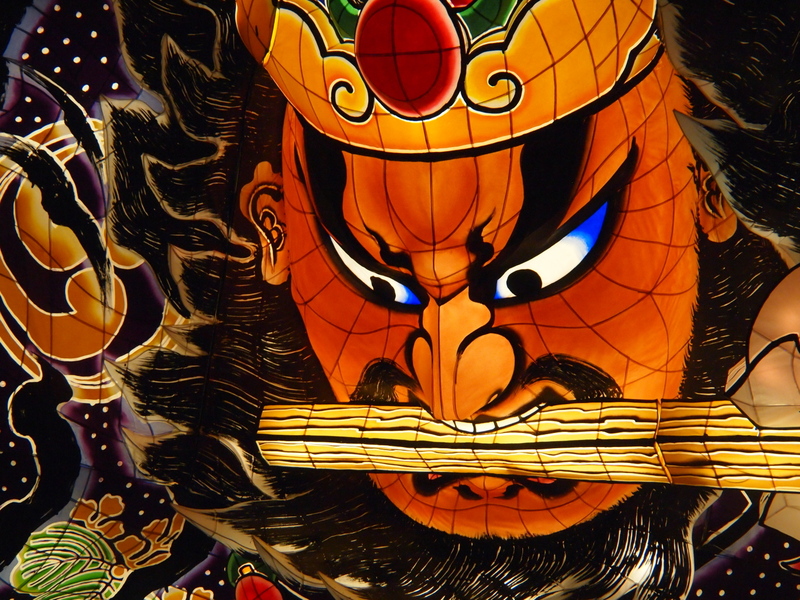 As the name suggests, Nebuta stands, the largest being 23 meters tall. The appearance of Tachineputa, which is equivalent to the height of a seven-storey building, as it walks through the city, is a scene where a special effects film has become a reality. Tachipututa, which was decorated with lanterns on festival floats as “Misogibarai” (event to be carried out to get rid of sin and admonition) in summer, gradually changed and became huge after the Meiji era. However, after that, wires were laid around the town, making it difficult to create a huge Tachineputa. Later, in 1993, when the old plan of Tachipututa was discovered from a private house in the city, a volunteer movement to revive it began. Tachineputa was resurrected for the first time in 80 years in 1996. Two years later, with the support of Goshogawara City, it has been held as a summer festival every year. After that, one new work Tachineputa is created every year. 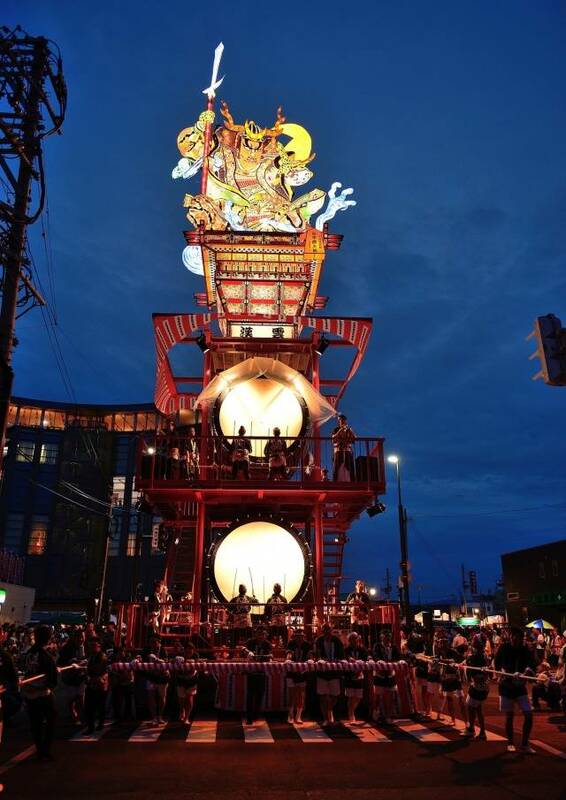 The “Goshogawara Tachipututa Festival” will be held within walking distance of the west side of Goshogawara Station. If you go by car, shopping center ELM on the east side of the city will be opened as free parking. In addition, a shuttle bus with a ¥ 120 one-way trip will run to Goshogawara Station. The Tachipututa Festival is held from August 4 to 8 every year. The “Aomori Nebuta Festival” is held from August 2 to 7, and the “Hirosaki Neputa Festival” is held from August 1 to 6, each year. 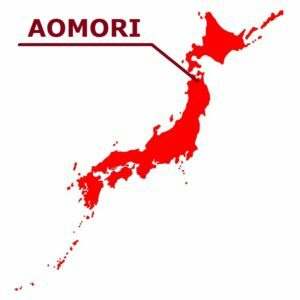 So you can see Aomori’s three major Nebuta Festivals in a single trip by adjusting the dates. 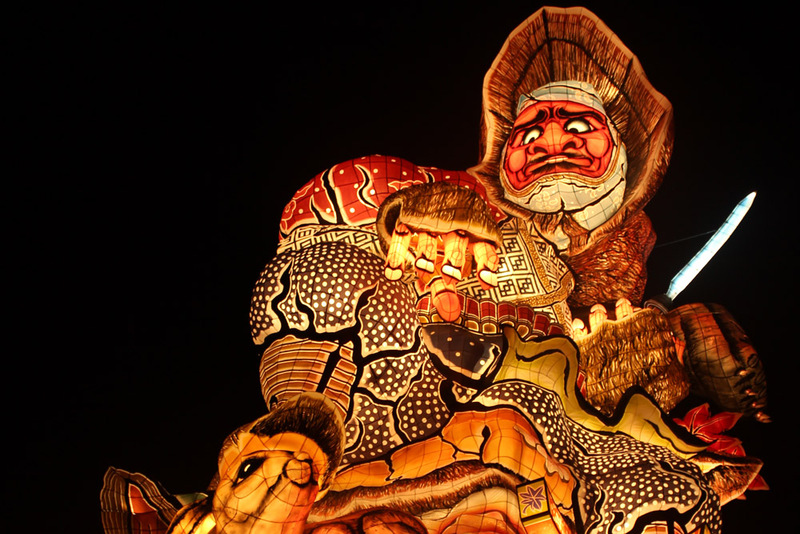 Among Aomori’s three major Nebuta Festivals, Goshogawara Tachipututa Festival may be the most minor, but it is the most recommended because it is actually the most powerful. “Tachineputa Festival” is a summer festival held in Goshogawara-shi, Aomori reproduced for the first time in about 80 years in 1998. There are three big Neputa (it is also called Nebuta) festivals in Aomori. They are the Nebuta festival of Aomori, the Neputa festival of Hirosaki, and the Tachineputa of Goshogawara. 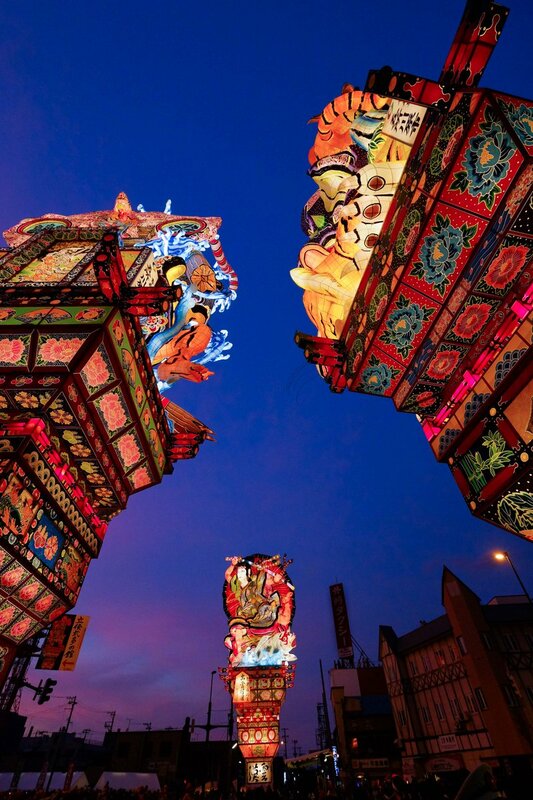 Although the Nebuta of Aomori is the most famous, please also visit Goshogawara Tachineputa Festival once. Please experience the overwhelming force. Operation of Tachineputa is August 4 to 8, and time is 19:00 to 21:00 every year. The biggest Tachineputa is a size which exceeds 20 meters in height. Although Nebuta of Aomori is also large, but only height compares, this is 3 times the size of this. Tachineputa is saved usually in the museum called “The Hall of Tachineputa.” The figure which comes out in a town for operation is a figure like an appearance of a huge robot. The figure to look up at is great force. Tachineputa is the tradition folk culture performed from the middle of Meiji period to the early stages of Taisho period, 100 years or more ago from now on. Those days, a thing about 21 meters high is shouldered by hundreds of young men, and is said to have paraded around the town. It is told that the brave figure was in sight also from the 12 kilometers away place. However, electric wire having been set up by widespread of the electric, it was miniaturized gradually and shifted to the usual Neputa (about 4.5 m in height) which operates now. However, in 1996, Neputa more than 20 meters in height was restored from one piece of photograph by volunteers of Goshogawara. 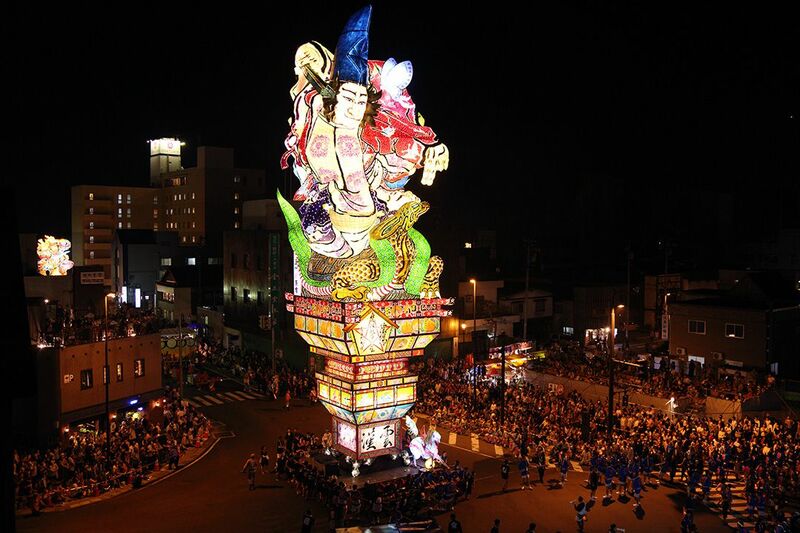 The dignified appearance and the spirit of people of Goshogawara created a nationwide sensation. Then, the electric wire on an operation course was buried in the earth by the “Tachineputa project” worked on in earnest. On August 5, 1998, Tachineputa paraded around the Goshogawara city at last, and the dignified appearance was looked up at many people.